Mama Nibbles: The Character Box Giveaway US 11/5 WIN 1 of 5! 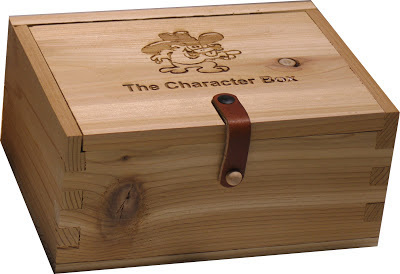 The Character Box Giveaway US 11/5 WIN 1 of 5! The Character Box is a unique way to bring your family closer together. This box is constructed from Pacific NW cedar and rubbed with a finishing oil on the outside to bring out the wood's luster. The image of the mascot critter Max has been lasered onto the top of every box. 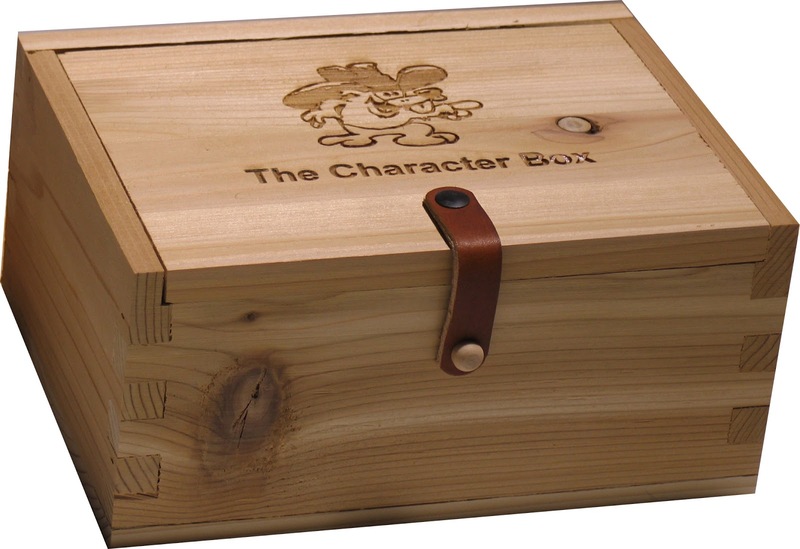 On the bottom of each box you will find the initial character traits to be learned also lasered. These are there just as a reminder and there are many more to come! 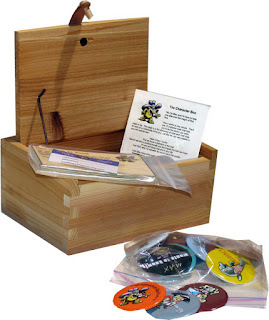 Inside of The Character Box are all the tools to help you to start on a program of character sharing. Through monthly Family Nights full of character building activities that support what is also being taught in most schools and home schools. This box can be an amazing tool for anybody. 12 Engaging Character Buttons your children will wear with pride: Buttons can be worn on backpack, on shirt or coat or placed on their pillow after a day of "doing right". 1 YEAR FREE access to BuildingCharacterUSA.com: Monthly additional "Max Wants to Know" cards and new character traits are introduced. Puzzles, Games, Riddles and more for the children. Helpful suggestions and tips for parents and teacher along with recipes and new ideas to make Family Night Fun, Educational, and Interesting for everyone! Lately tension has been high in my family. The kids have been a little on edge ever since school began. I know that they are a bit stressed and I'm sure most children feel that way when they are put under a lot of pressure. The only way that I know to help them out is by having family time. Family time can sometimes be hard to come by with all we have going on. I think that the character box is an excellent way to help with this. Being able to give the kids a physical representation of that special time and attention is priceless. 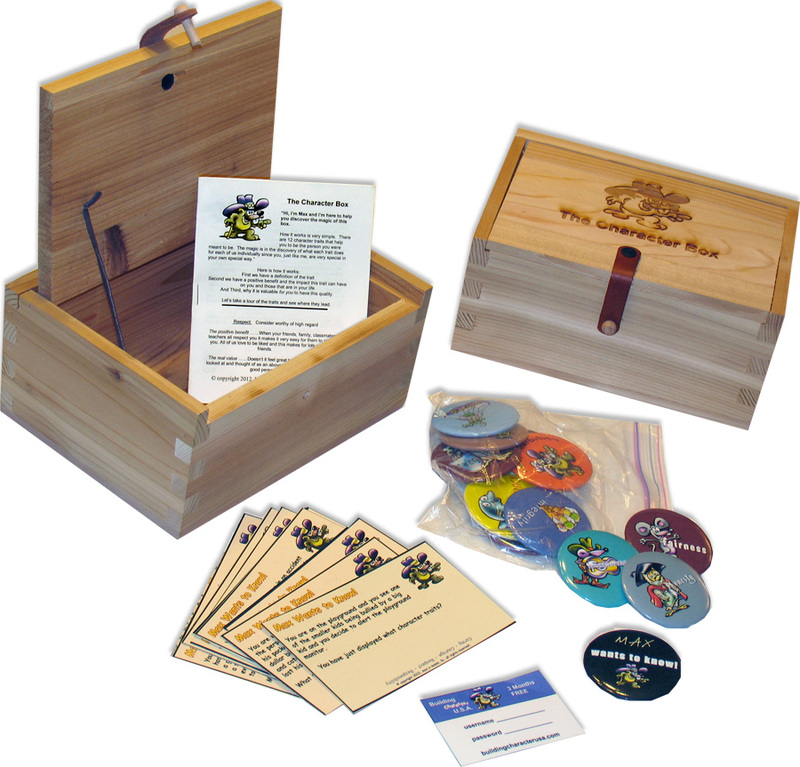 The Character Box represents that promise to commit to time together while learning important life lessons.